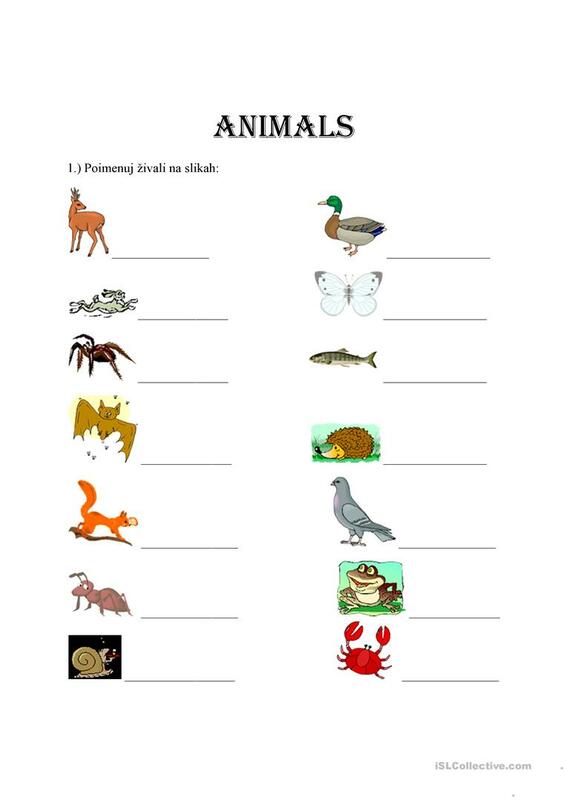 Worksheet for Slovene students learning about animals. Elementary level. This downloadable handout is best suited for elementary school students at Elementary (A1) level. It is a useful material for consolidating Nouns in English, and is excellent for improving your pupils' Writing skills. It is about the vocabulary topic of Animals. Maja85 is from/lives in Slovenia and has been a member of iSLCollective since 2011-02-01 01:41:43. Maja85 last logged in on 2019-04-14 13:37:39, and has shared 1 resources on iSLCollective so far.